Thunder Bay's mayor says he takes exception to comments by Ontario's human rights commission that civic leadership in the northwestern Ontario city has been lacking and hasn't done enough to combat racism against Indigenous people. Thunder Bay's mayor says he takes "offence" to comments by Ontario's human rights commission that civic leadership in the northwestern Ontario city has been lacking and hasn't done enough to combat racism against Indigenous people. In their 2017-2018 annual report, human rights commissioners highlighted examples of what First Nations people in the city told them during consultation meetings last year. The commissioners' visit to Thunder Bay coincided with an opinion piece, written by chief commissioner Renu Mandhane, in the city's daily newspaper that called on citizens to "demand that their leaders address racism head-on." Mayor Keith Hobbs acknowledged that racism exists in the city, but bristled at the commissioners' comments that local leadership hasn't done its part to fight it. "I would like someone from the human rights commission to tell Keith Hobbs what he didn't do or what he could have done more [of]," he said. The report said that city and police leadership need to be a "potent weapon" to combat racism but also pointed to some of the positive steps commissioners say they've noticed. It stated that Indigenous people told commissioners during consultation sessions about concerns over "policing and child welfare, trafficking of Indigenous women and girls, and everyday racism in almost every facet of their lives including employment, housing, healthcare and retail." The commissioners also said they heard stories of, what the report called, being "garbaged" — Indigenous people having eggs, food containers and other debris thrown at them when walking. The annual report covered the commission's work from April 1, 2017 to March 31, 2018. 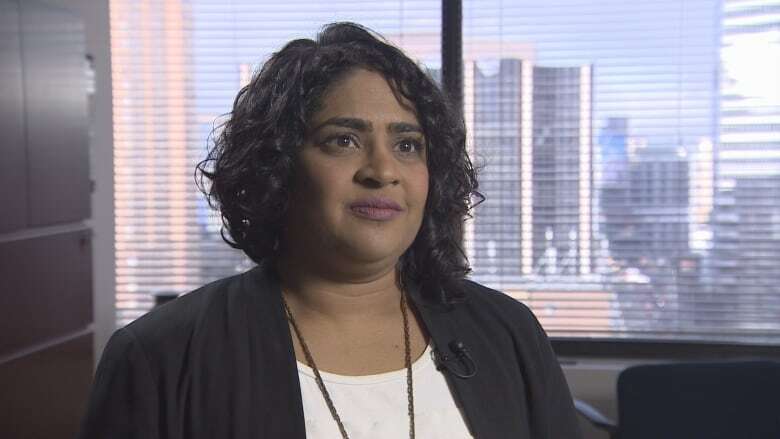 "When you have a mayor or even just prominent business people who state a very real commitment to anti-racism, to reconciliation, it sort of sets the stage for the broader community," Mandhane told CBC News. The charge that local leadership hasn't made a commitment to reconciliation doesn't sit well with Hobbs. He pointed to dozens of initiatives the city has undertaken to since 2010 — the year he was elected mayor — that he said show otherwise. Hobbs pointed to the city hosting evacuees from remote First Nations,signing a 2011 partnership declaration with neighbouring Fort William First Nation and the 2012 "respect campaign"to more recent efforts like granting the former Grandview Lodge to Matawa First Nations Management for use as a student learning centre and residence and publicly condemning reported racially-motivated violence. Hobbs said that he and city officials have visited remote communities as well to meet with leaders and residents. "I could write a book ... on what we did and what we have been doing prior to the human rights commission visit last year," Hobbs said. "We've done a whole lot more; do I take exception to that? You're damn right I do." The commissioners' report did credit the city, local police and Indigenous leaders for taking steps recently, including establishing a safety plan for students. Thunder Bay has been put in the national media spotlight over charges of institutionalized and pervasive racism against First Nations people. The Thunder Bay Police Service was investigated by Ontario's Independent Police Review Director over its handling of the death of Stacy DeBungee, a man from Rainy River First Nation, who was found dead in 2015. The watchdog is also doing a broader investigation of the police service over accusations of systemic racism. The police services board is also under investigation by the Ontario Civilian Police Commission. Mandhane said her office will be monitoring the results of those probes. The 2015-2016 inquest into the deaths of seven First Nations students in the city also helped drawn attention to the issue of Indigenous people being hit with objects thrown from passing vehicles. One such incident in 2017 involved 34-year-old Barbara Kentner being hit with a trailer hitch. Kentner died about six months later. The case of the man accused of killing her is still before the courts. "To blame municipalities for the history of the abuse of Indigenous people is totally wrong," Hobbs said, adding that local governments need more help funding and resourcing social services. "No one's got it right yet and I don't see it happening ... we can do as much as we can as a municipality and it'll never fix the problem." Hobbs pointed to a proposed youth centre that the city and the local Indigenous Friendship Centre were pursuing before Ottawa and Queen's Park didn't come through with funding. Mandhane acknowledged that any type of progress in stamping out racism is going to take time. "This isn't a one conversation thing but I think, certainly in the north, we've seen over the last few years ... a willingness to have more conversations that include more people in the community who may not share the dominant perspective." Brayden Bushby now charged with 2nd degree murder in death of Barbara Kentner in Thunder Bay, Ont.